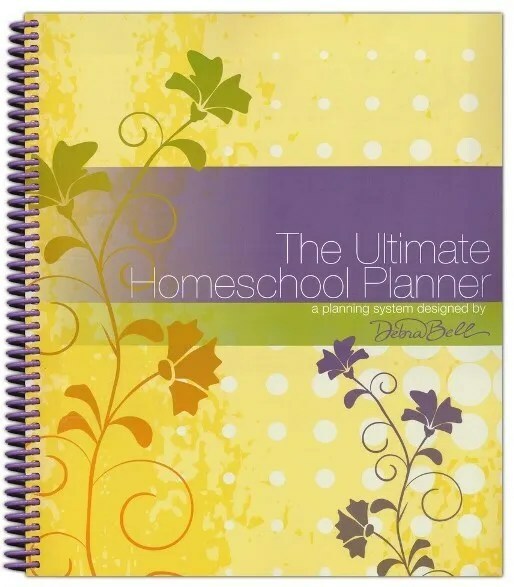 I hope you are in your comfy seat, cause I’d like to write up more than a review of a planner from an amazing company. 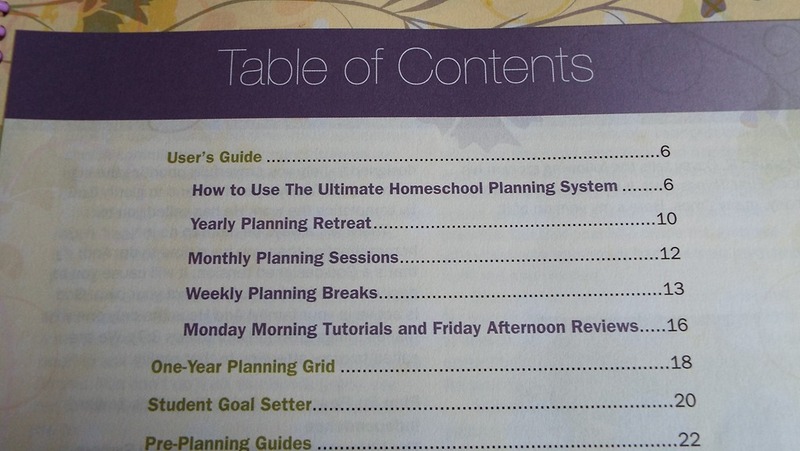 Sure, Apologia Educational Ministries is great – and their paper planner The Ultimate Homeschool Planner – Yellow Cover makes keeping track of your weeks easy – but I’d like to talk about more than months and empty two page week spreads. Educational Ministries. That’s what Apologia is about. Is your home an educational ministry? I was taken by their thick plastic cover with a beautiful graphic. Then they had me as I read the first words on the flap – count your blessings, encourage independence, record your progress, “Order brings peace.” St Augustine. My direct #1 goal this year is to encourage independence with my youngest son. This is the first year that he is the oldest, because he is the only. In Kindergarten he already knew his letters, colors and numbers, because he had been listening in on big brother’s work. Each year has been the same, a drinking in of the other’s efforts. This year, he is on his own. Those three goals are lofty and look pretty in the purple font, but how do I do it? Well, Apologia and Debra Bell pour out a step by step plan! Who better to trust? Step by step, with written examples laid out several ways. Showing how to use the weeks with several children. And so I started. My monthly planner is really just my Google on my Phone. I put in what I knew in the first of October. As I looked at blocks of time to fill in academics, I used this page. At the end of October, there isn’t too much more written in. 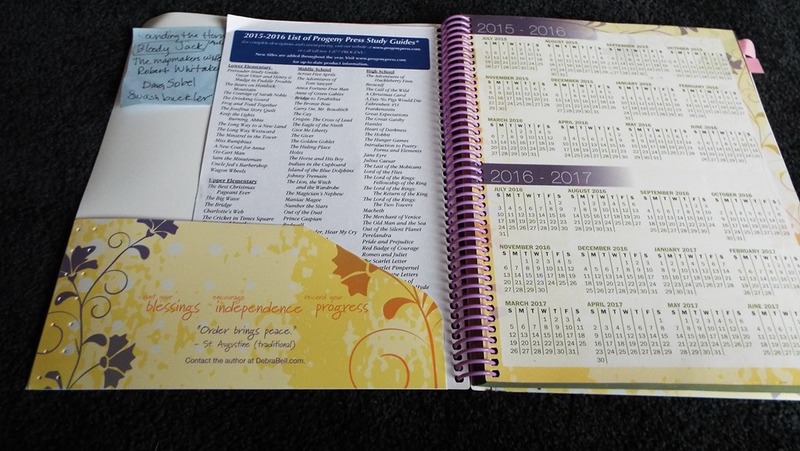 However, if it had been July and August using this planner, these month blocks would be torn to shreds. Picture a video of a 4×4 truck going up a steep mud hill. Ya, that’s how I plan my months out in the summer. There is a lot of space! I like that the months are blank. 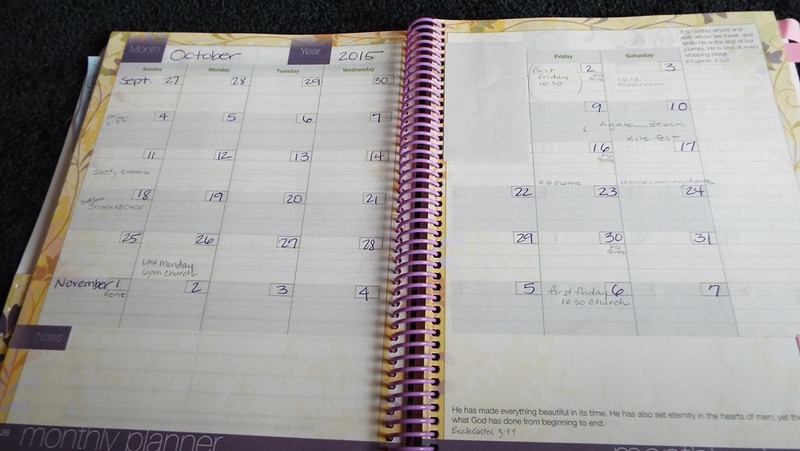 I go back and forth using the planner month by month. As I noted above, I mostly dig deep when I know I have a lot to pack in. It helps me plan, more than just plot what I already know. Each form is just so functional – starting with the beginning. I love pens, all colors, so it was fun to pull out all of my purple and green pens. My oldest son is 17, he is working as a teacher’s aid for Middle School PE at the High School (Our town’s school is a 7th-12th in one building), then goes to 2 different college campuses depending on the day for three different classes. He has bible studies 1-3 times a week in the mornings, and at this time he had 2-3 early morning shifts at the Pool. Evenings have a Younglife/Wildlife/Youth Group/Work event almost every day. 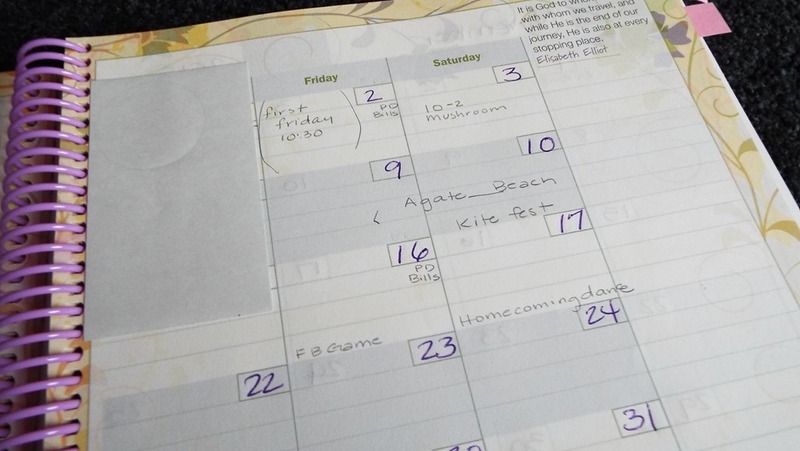 If I could plot out his schedule on this weekly form, it would be a miracle. There are MANY blank weeks, so I just played around with it two or three times. Since I don’t need to be responsible for his day, I reduced his to one line at the bottom, that way I could have a lot more space for Jon’s 9th grade schoolwork in the remaining blocks. If you have 2-6 school age kids, you’d reference the Apologia Example above for laying out classes with boxes in each block. The week of October 12th I gave this page a try. 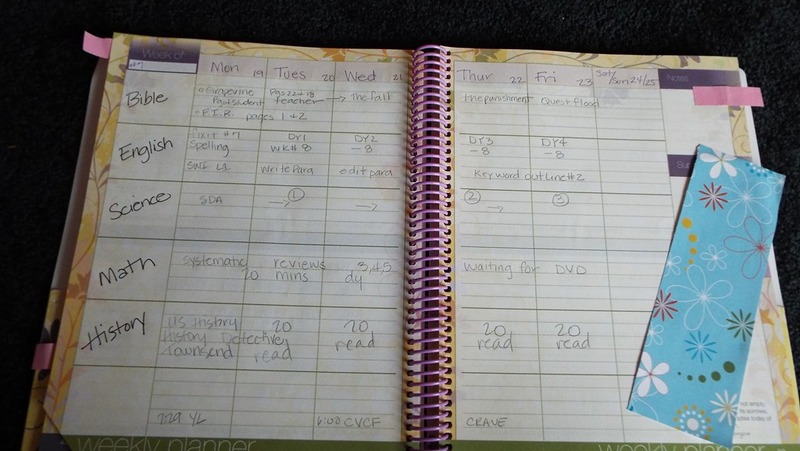 Each week has 4 pages total for planning. The first two have to do with the heart and character. Starting off with a verse, we sit, pray and write out a plan for the week. But we don’t start with academics. 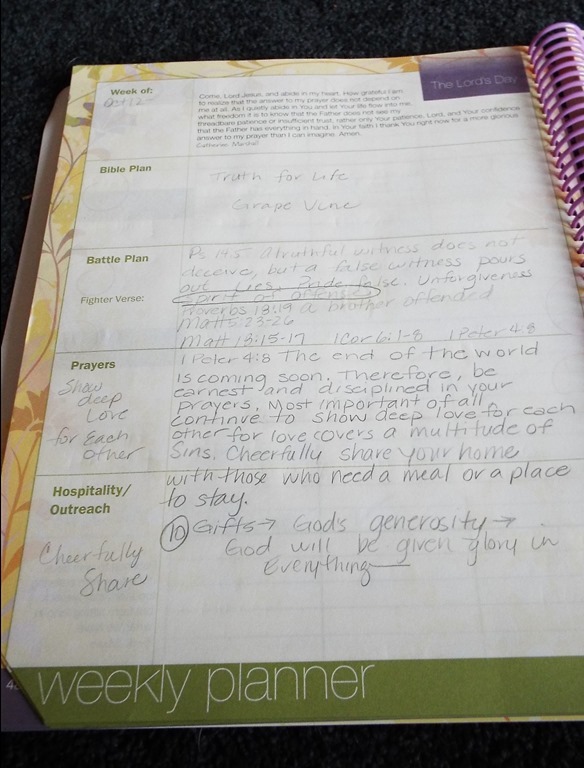 Bible Plan, Battle Plan, Fighter Verse, Prayers, Hospitality and Outreach are on the left hand side of the page. I had read them over, and sort of thought through them in my head, but didn’t write it down. This week I did. WOW, the Holy Spirit just flowed with ideas of what to focus for on the Battle Plan. He gave me a Fighter Verse, and then gave direct / specific prayers with verses to storm the throne room with. It was an amazing morning! I asked who needed contact with Hospitality and Outreach and a few names came to mind. Why would I skip this step? The right hand side of the page has spaces to reflect and remember. This Week’s Memorable Moments, Achievements, with prompts of Family funnies, Victories, Progress, Promising signs, Small beginnings, and Finished projects. Then a whole half of a page for Evidences of Grace with the promptings of Evidence of God’s grace, God’s mercy, God’s faithfulness, God’s protection and God’s provision. The second week, I looked back and thought, ya, we’re still on that track so I’m good. But then I prayed about it, and a whole deeper set of ideas came for the Battle Plan. The Prayers centered more around the folks that were in my Hospitality section from the week before. The memorable moments stemmed from the activities that came from the Battle plan and outreach, while the Evidences of Grace were direct answers to prayers from last week. It was a huge reminder to me that I’m doing more than just planning out a 9th grade day. I’m partnering with Heaven to continue to train this young boy, with the same effort that came as a toddler, and as the 3rd grader at Awana, and as a 6th grader learning to do projects and put his faith in action. How easy it is to get focused on making sure his science, english, and math line up with Oregon standards. My focus got off seeing the gaps that my 17 year old has stumbled into during his college classes. But every kid in America that is in some sort of learning institution has a staff of folks dedicated to making sure every academic check will be marked this year. The joy of homeschooling is knowing that one person, or two parents, are putting that much effort in to the character and training of the person as a whole. They joy of this year, is that he has come into his young adult self. The second two pages for the week is an empty two page graph. 6 columns wide by 6 columns tall. Each square has 5 lines. The side has space for Notes, Supplies and Appointments. My bookmark (Just craft paper) is covering it. If you can see, you may note that Nathan got kicked out of my weekly planning. I created a two page spread with his set schedule, so I don’t really need to write it out every week. 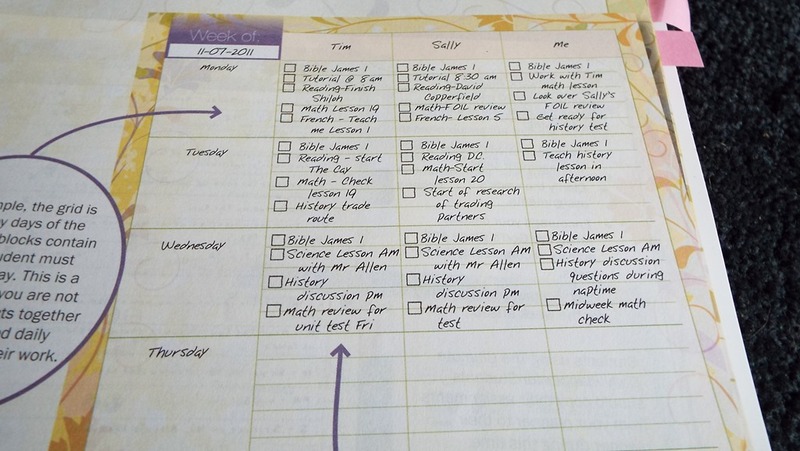 Each week I’ve arranged Jon’s activities a bit differently, adding more and less detail. 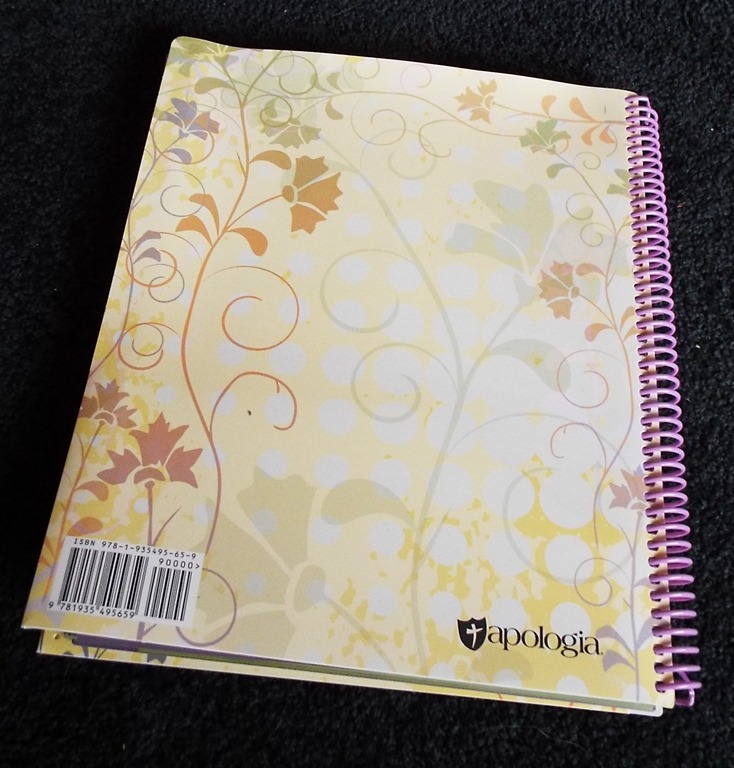 They encourage you to train your student to check the pages, or order them their own student planners. Jon still just likes his work to be put on the white board. Now that we are doing set curriculum, probably through January or February, we are mostly on ‘do the next page’. This helps me to know where we are, and what needs to get done to be finished by May/June. Are we ‘ahead’ or are we ‘behind’? Our public school schedule influences are day. We become Camp Mil Mar when school is out. 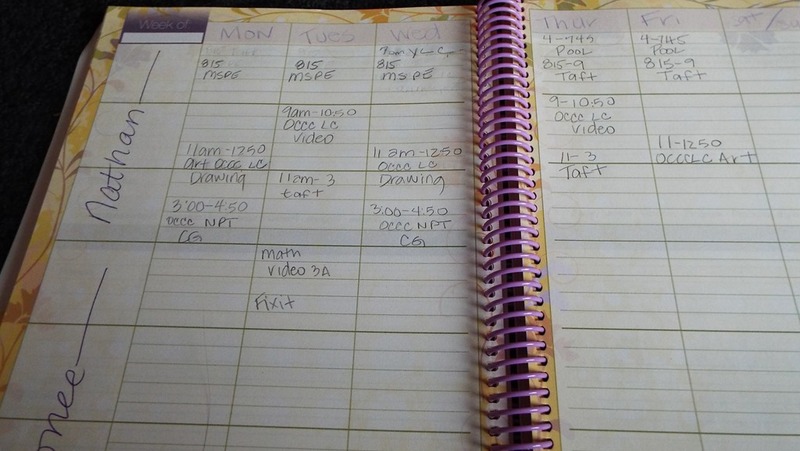 Jon will get his school work done between Monday and Weds when school is out Thurs/Friday. Today he got up at 5am to do schoolwork early, before 7am Bible Study, then did the Algebra with me, and Grapevine Bible Study – so that he could take a long bike ride. Counting my blessings. Encouraging Independence. Recording our Progress. A couple of tweeks – I cut the corners off of the weeks completed. I’ve had planners that had perforated corners, I’m not suggesting that would be better as I don’t really like that. A simple snip is fine for me. 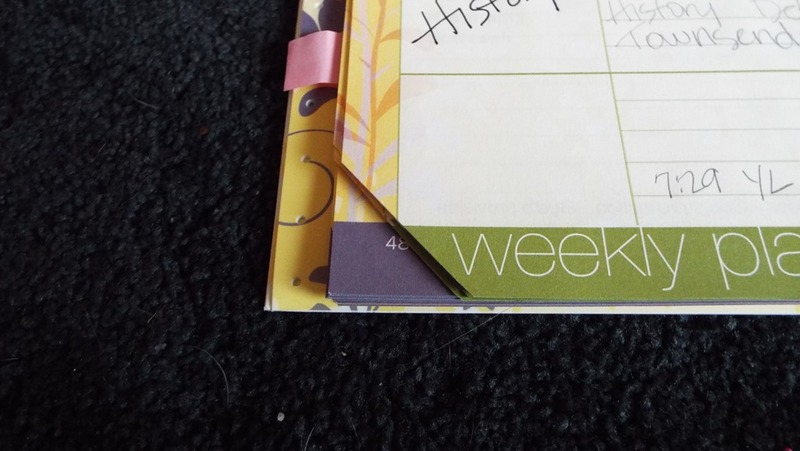 I’m using a book mark made of paper and little post it tabs to make it easy to flip from the Calendar, to the Battle Plan page, to the Weekly Assignments. 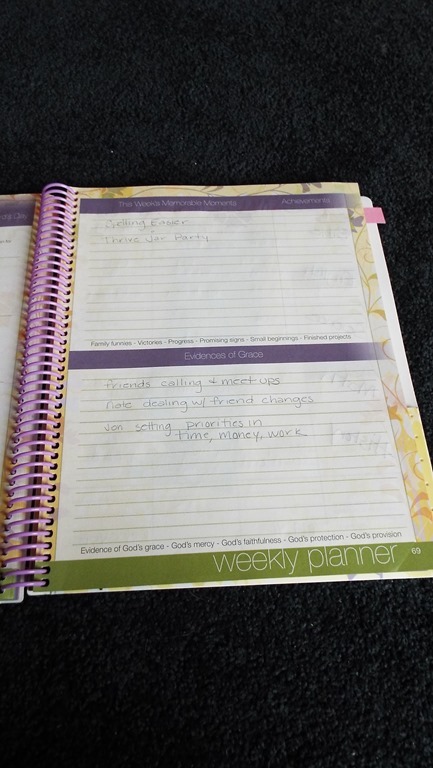 I haven’t done the math – but I saw that there are 257 pages of weekly planner pages. 4 for each week . . . ya. Too tired to hit the calculator. But that’s a lot of space. 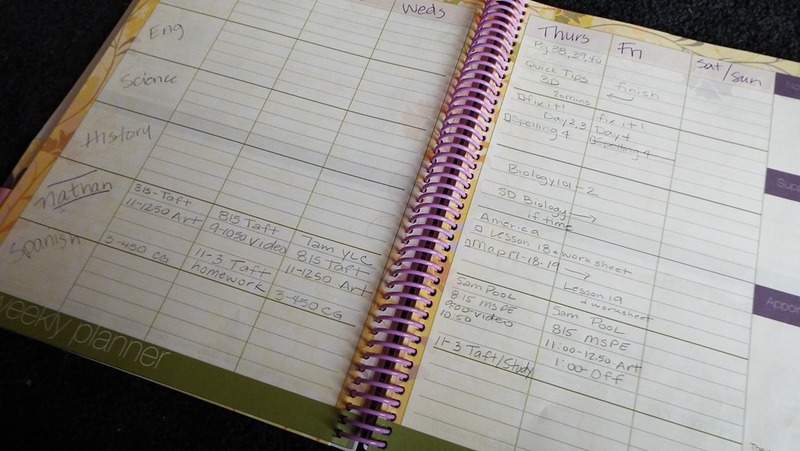 You should be able to use this planner for a few years. 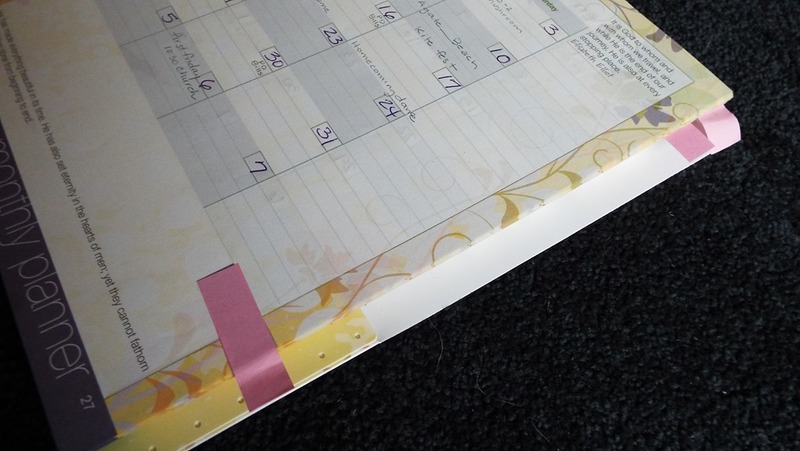 I did note that there are 48 pages of Months – so my math would be two years worth, with two pages per month spread. There are several forms in the back – records for grades, reading lists, and field trips. 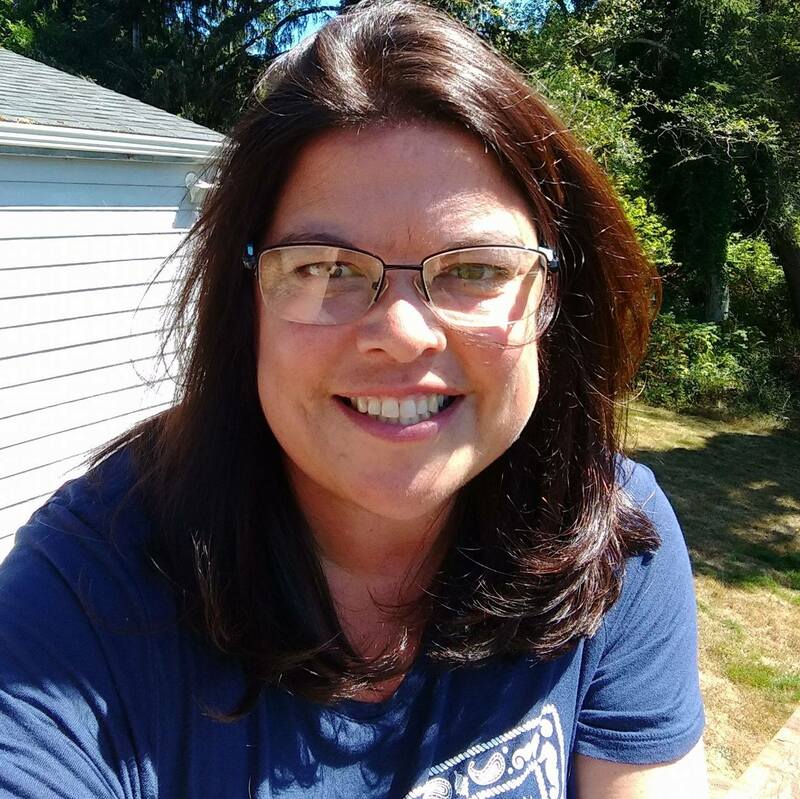 There are direct heartfelt easy to follow articles on how to raise an independent learner, how to motivate a reluctant learner, a chart for learning styles and thinking skills, a parents guide to study smart student toolkit, and my favorite. 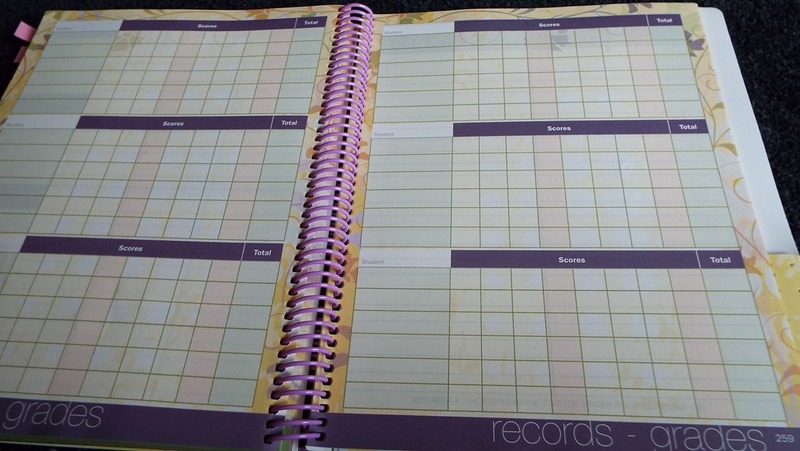 . .
A blank planning page for high school. I’d say, this is the most detailed one I’ve seen yet. Oh how this would have been a blessing with Nate. They list out the Subject, Math, English, Social Studies, Science, Language, Electives, Tests and Summer. Then divide each section into Semester 1 and Semester 2 and have space for 8th – 12th grades. The opposite page has suggestions, like Alg 1, Alg 2, Geometry, Pre-Calc., and AP Calc. Year End Reviews and Note Pages finish up the Planner. 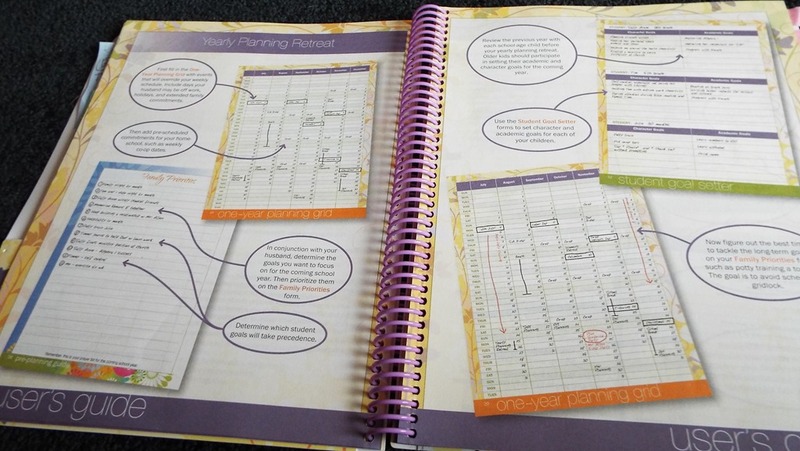 You know from other reviews that I’ve used online planners to map out my year. Pretty sure if you’ve followed along you know that once I’ve planned it out and printed my lists, I rarely look at them again. I have found that to be true this year. I’ve used my online year long planning to make sure I’m on track with Jon’s goal of not doing core subjects this summer. But it doesn’t seem to help me in the day to day. 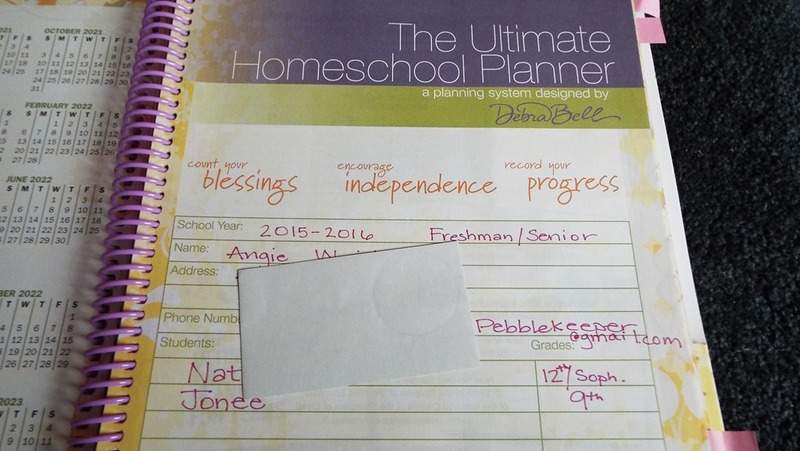 The real gem for this planner is in the time that Debra Bell has poured out in the beginning to really articulate a how to for planning. This is definitely a Bible Based Spirit Filled book. 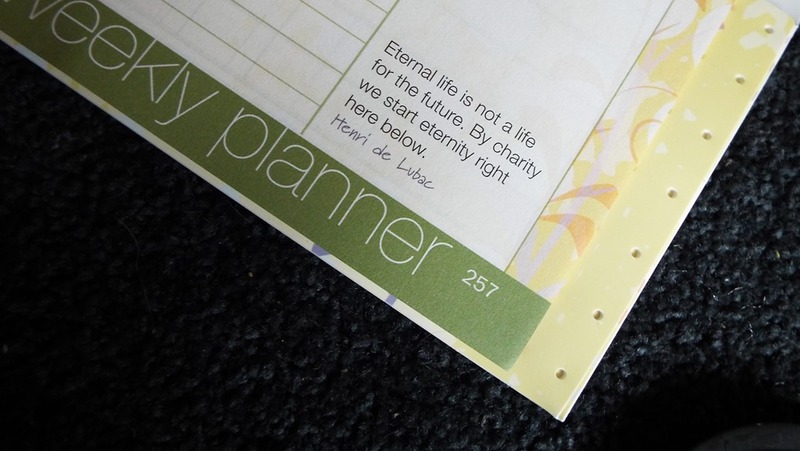 You will partner with the Bible as the word, and with Christ as The Living Word to plan your weeks, months and years. If you are a new homeschooler, you’ll be taught baby step by baby step, even with web addresses to download an App for Fighter Verses to use. If you are a seasoned homeschooler like me, you’ll be gently persuaded to refocus on the ministry of learning. 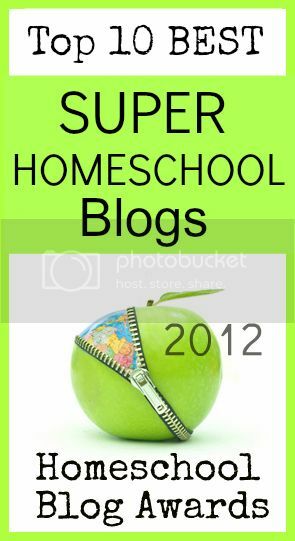 It is too easy to be caught up in the ‘doing school at home’. I’m not in a race to be sure to cover public school subjects. I’m in a race to win a prize. A few verses have been on my mind this month – Gal 5:7 – You were running the race so well. Who has held you back form following the truth? Phil 2:16 – Hold firmly to the word of life; then, on the day of Christ’s return, I will be proud that I did not run the race in vain and that my work was not useless, Phil 3:14 – I press on to reach the end of the race and receive the heavenly prize for which God, through Christ Jesus, is calling us, and 2 Tim 4:7 – I have fought the good fight, I have finished the race and I have remained faithful. That is what I want – Heb 12:1 – to run the race that God has set before me, and to finish faithful. 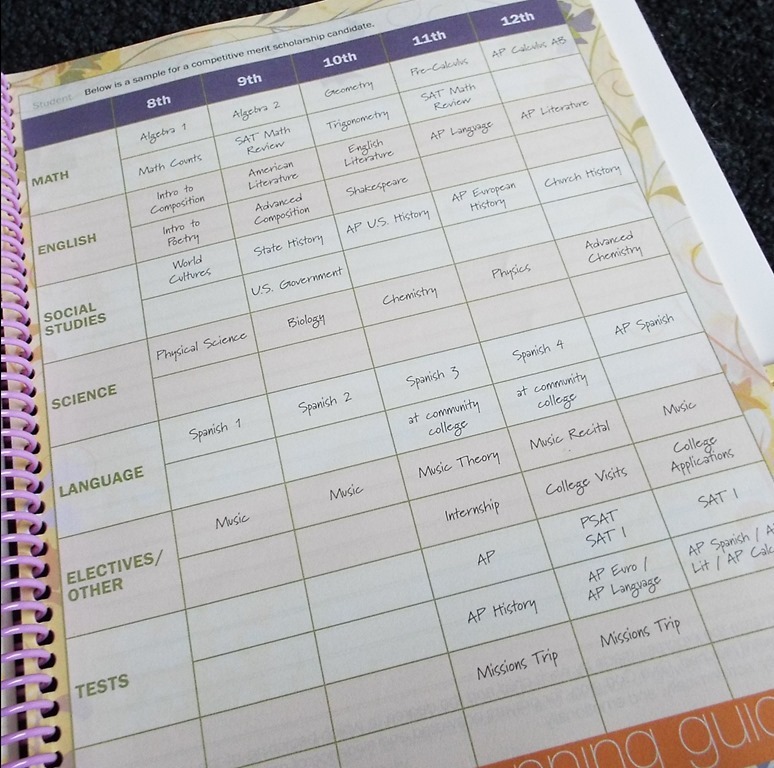 This is not just a planner to help you plot out what lessons you are on in math and history, this is a tool – to keep your focus and perspective balanced – and map out a race path for your family. 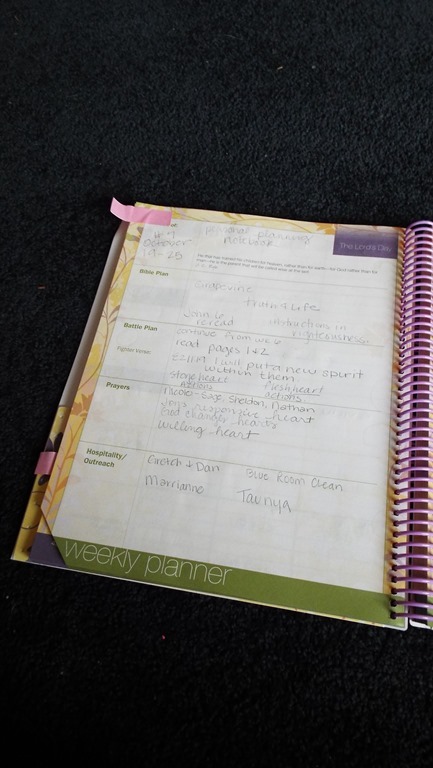 Many ages and sizes of families reviewed these planners in a few different colors – click the banner below to see how other families used it! Because of the blank form pages – I think this would make an excellent family day planner – no matter where you children are being educated. 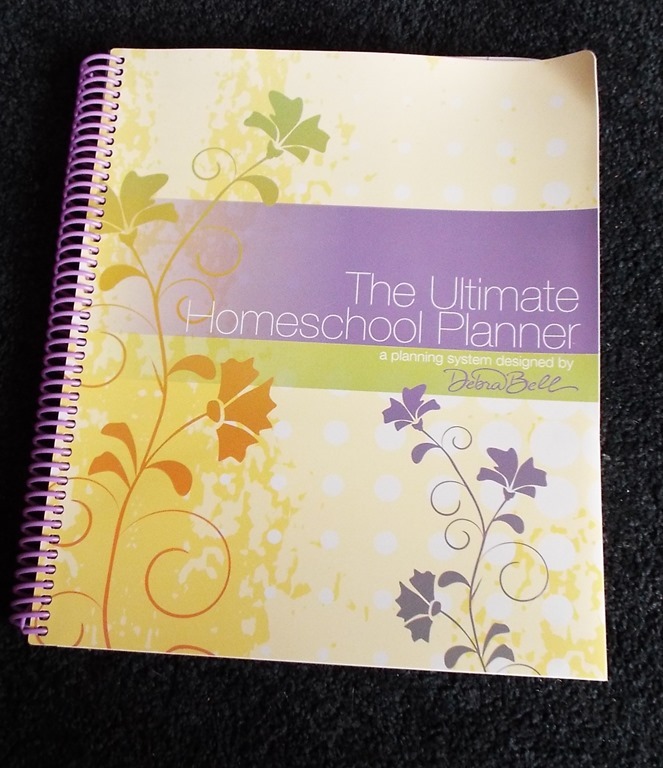 This entry was posted in Reviews, Schoolhouse Crew and tagged Apologia, day planner, HomeSchool, hsreview, Planner, ultimate homeschool planner. Bookmark the permalink.